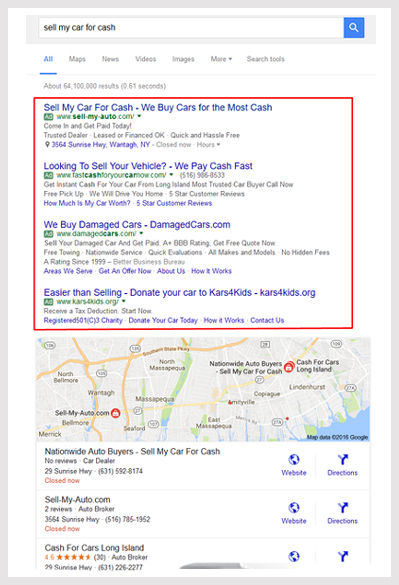 Google Search campaigns let you appear when someone is searching for a product or service on the Google search engine. You bid on keywords that a potential searcher might type in. When someone is intentionally seeking out a product or service like yours, they're much more likely to find your ad helpful, and click it. With Search campaigns you only pay when someone clicks your ad and lands on your website or calls you from the number in the ad. Remarketing for Search, which takes people who have been to your site before and brings them back into the sales funnel. Anyone can start a Google campaign and attempt to run it themselves. This may seem like the way to go if you want to save money. In reality hiring an Adwords Certified professional will more than likely increase your sales while lowering your campaign costs. There are constant changes and additions to the Adwords program and unless you are on top of all of them you are going to pay more and get less results. If you're interested in finding out how Long Island Media Inc., can help grow your business through Search engine marketing call us at 1-631-406-4410.